Today we share a letter from the field, sent by former FOR Accompanier Amanda Jack in October 2007, two and a half years after the massacre of Mulatos and Resbaloza. 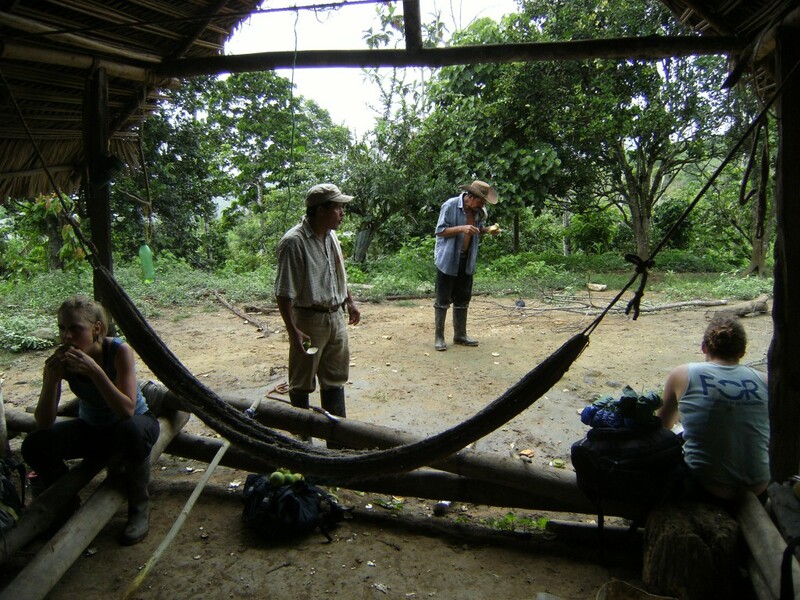 Originally published in the FOR Colombia blog. 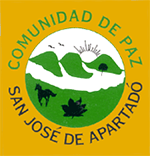 February 21st will mark the 10-year anniversary of the massacres that took place in Peace Community of San José de Apartadó hamlets of Mulatos and La Resbaloza in 2005. At the time of the massacre, FOR accompanier Renata Rendon traveled with over 100 community members and four other human rights observers to the site of the crimes, and documented all that she could – the video footage gathered is quite disturbing. Please take a few moments to watch Renata’s powerful account below. To read more about FOR Peace Presence and our permanent physical and political accompaniment in the Peace Community, click here. The preventable deaths of Michael Brown, Eric Garner, and others at the hands of police have drawn attention to the frequently excessive use of force by police, all too often fatal, and the lack of justice for such violence. By one count, U.S. police killed more than 655 people in the first eight months of 2014 alone. It is not known how many of these were avoidable or criminal, since the federal government does not require reporting of officer-involved shootings – a problem in itself. But protests and public opinion reflect a widespread conclusion that justice has not been done. This has coincided with growing federal assistance to police departments across the country, much of it equipment brought back from full-scale wars in Iraq and Afghanistan. Pentagon equipment valued at over $5 billion, including 78,000 “controlled” military items, has gone to 8,000 police departments. The Department of Homeland Security has given cash grants to local departments of more than $41 billion since 2002 for “counter-terrorism” equipment. In the month of January, we were alarmed and upset by the most recent wave of paramilitary threats in the form of pamphlets that arrived to the homes and workplaces of various human rights defenders and land claimants on the Caribbean Coast. In response to the threats, we contacted various embassies to share our concerns and urge for thorough investigations and legal action against those responsible. We also accompanied Juan Martínez, one of the leaders named in the pamphlet, who received a threat at his family’s home, and additionally asked our social media networks to join us in demanding thorough investigations of the threats – today, you can still act to protect Colombian human rights defenders. 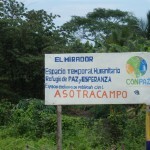 FOR Peace Presence traveled as planned to the Humanitarian Space El Mirador in the department of Atlántico to accompany legal representative of ASOTRACAMPO (Association of Farm Workers) Juan Martínez and the Association’s members in the Space. Accompaniment there often entails being in meetings in the nearby city of Barranquilla with the local entities involved in their impending ‘re-settlement,’ as a preventative action and a way to visibilize their struggle. The farmers of ASOTRACAMPO have faced various displacements from their lands in order to clear way for development projects and the construction of buildings associated with the free trade zone (Zona Franca “Zofia”) in the area. The organization is doing all it can to ensure that they are not displaced another time prior to a just resettlement. En el mes de enero, estuvimos alarmadxs y asustadxs por la ola más reciente de amenazas en la forma de panfletos que llegaron a las casas y lugares de trabajo de varixs defensorxs de derechos humanos y reclamantes de tierra en la costa caribe. Como respuesta a las amenazas, nos contactamos con varias embajadas para compartir nuestras preocupaciones e impulsar investigaciones completas y acciones jurídicas contra lxs responsables. También acompañamos a Juan Martínez, uno de los líderes nombrados en el panfleto, quien recibió una amenaza en la casa de su familia, y además pedimos a nuestras redes sociales a unirse con nosotrxs en exigir investigaciones completas de las amenazas – hoy, todavía se puede tomar acciones para proteger a defensorxs de derechos humanos colombianxs. FOR Presente por la Paz viajó como se planeó al Espacio Humanitario El Mirado en el departamento del Atlántico para acompañar al representante legal de ASOTRACAMPO (Asociación de Trabajadores del Campo) Juan Martínez y otrxs miembros en el Espacio. Muchas veces nuestro acompañamiento ahí implica asistir a reuniones en cerca en la ciudad de Barranquilla con las entidades locales involucradas en su reubicación inminente, como una acción preventativa y una manera de visibilizar su lucha. Lxs campesinxs de ASOTRACAMPO han encarecido varios desplazamientos de sus tierras para hacer espacio para los proyectos de desarrollo y la construcción de edificios asociadas con la zona de libre comercio (Zona Franca “Zofia”) en el área. La organización está haciendo todo lo que pueda para asegurar que no estén desplazadxs otra vez antes que una reubicación digna.